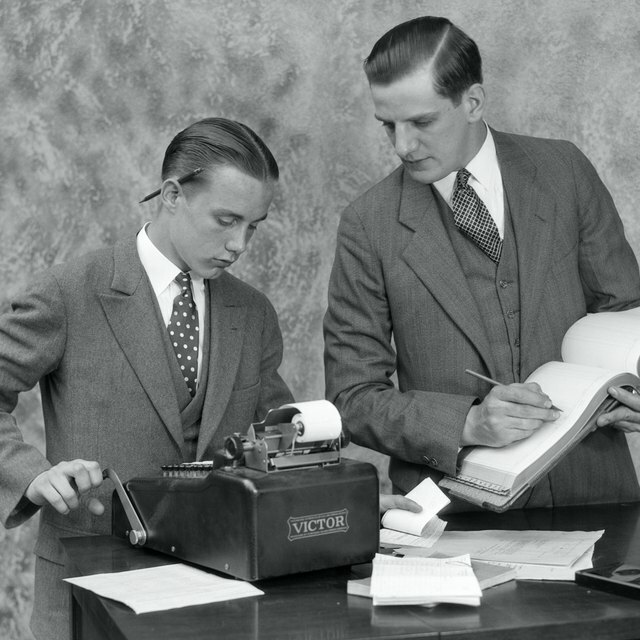 The history of financial accounting is more than just a story of money and numbers. It is the story of the world's evolution from bartering and local trade to a true global economy. So much history's written records are in the form of accounting documents. They tell us what people ate, how monuments were created, and how people made their living over the millennium. Today, financial accounting makes possible the vast international trade and economic growth of countries throughout the world. The very earliest accounting records date to 7500 BC, when cities in the Middle East traded coins made of clay for livestock, grains, and fabric. Papyrus scrolls dating from 3000 BC still survive to this day, showing financial and trade transactions from ancient Egypt, including inventory of property owned by Pharaohs as well as detailed building records and payroll reports. It wasn't until the first century AD however, that the Greeks developed dome of the first banking systems, accounting records of which still exist. The birth of financial accounting as a respected profession can be traced to the Italians during the Renaissance. Italian merchants during this time developed extensive trading routes across Europe, as well as regional banking centers, where funds and goods were carefully tracked using the first system of double-entry bookkeeping. This double-entry system is still the most commonly used today. The most concrete milestone in the history of financial accounting came in 1494, when Italian businessman Luca Pacioli published the first accounting textbook, called "Summa." This book detailed the double-entry bookkeeping system that was just coming into use during this period, and has led many to call Paciolo "The Father of Accounting." During the 1930's, the United States government formed a Committee on Accounting Principles with the goal of standarding the accounting process for the purpose of income tax and financial reporting. The result was the creation and implementation of GAAP, or Generally Accepted Accounting Principles. This "textbook" on the accounting process is still used throughout most of the Western world to standardize financial reporting. Today, financial accounting is one of the larger professions in the United States. The trade is dominated in the U.S. by the "Big 4" accounting firms, which include Deloitte, Ernst & Young, KPMG, and Price Waterhouse Cooper. In addition, many smaller firms employ accountants who serve both corporations and individuals looking for help with taxes and accounting. These professionals also provide a stamp of validity for company financial records, giving reassurance to investors and auditors. Most accountants today are required to be certified at the state or local level, and this is true throughout most of the financial world.